The Werber Leather Coat Company was founded by Max Werber and David Itkin. It was originally known as the Itkin-Werber Leather Coat Company, with headquarters at 23 University Place, New York City. Around 1921, the company moved to Poughkeepsie, NY, where a factory was opened a 19 Academy Street. A second location in Poughkeepsie was opened in a former soap factory at Mill St. and North Perry. In 1927, Werber expanded his operation, moving from Poughkeepsie, NY to Beacon, NY, where he converted a former silk mill at 578 Main Street. The Academy street location was retained, but the South Perry Street property was sold to the city of Poughkeepsie in 1927. 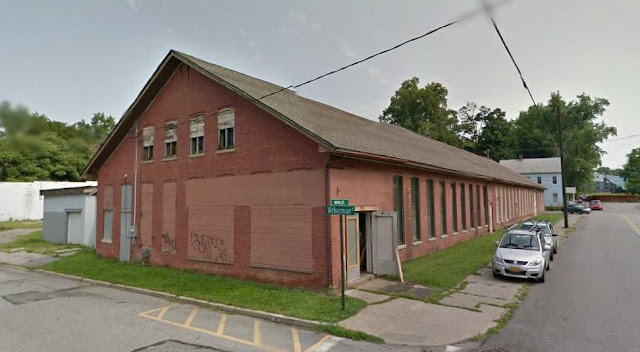 Labor proved scarce in Beacon, and in 1929, Werber considered a move back to his location in Poughkeepsie, where he planned on converting the former Christopher Columbus School to a leather factory (source). 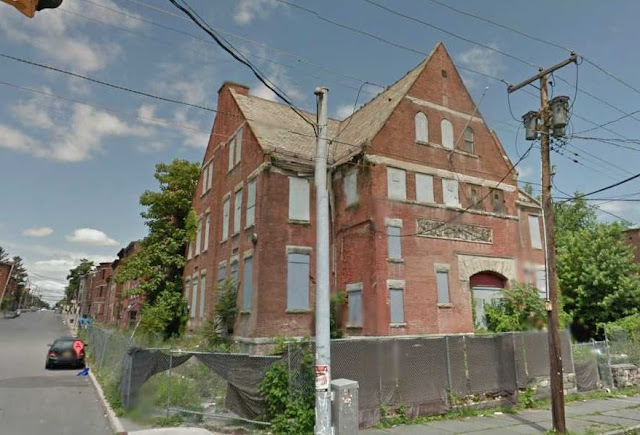 He was not able to purchase that property, and opened a small plant, employing 25 workers, in the former Hoag Knitting Mills building on Clinton Square. The 1930s proved a bad time for Werber. In 1931, a portion of the Beacon plant became home to the Strong-Best company, manufacturers of dress, work and sport trousers (source). By the mid 1930s, Werber operated solely on government contracts. A fire did $3,000 damages to the Beacon plant in October of 1933. In May 1934, following a period of economic hardship, labor disputes, and an ongoing feud with Itkin, the Beacon plant was the victim of an act of arson, which supposedly destroyed $20,000 worth of stock. The fire had been set with gasoline, rags, cardboard, and matches tied with fuses into bundles. In 1935, the Beacon factory went into foreclosure (source). A walkout and strike took place in 1935 in protest of excessive hours, and pay under NRA scale, and in order to get Max Werber to acknowledge the Amalgamated Clothing Workers of America Union. The ACWofA sent picketers from New York City. 15 girls from Vassar College joined the picket line. A $0.03 raise ended the strike. The union was not acknowledged by management, and for a short period, Beacon gained the nickname "scab town". 1936 saw the sale of Werber properties to pay off debts. Seeing the writing on the wall, Werber employees split from the company in 1937 to form Aero Leather Clothing Co., headquartered just down the road. The battle with insurance companies over the 1934 arson finally ended in 1938, with the New York Supreme Court setting in favor of Werber. Questions remained as to whether the fire was a deliberate act of fraud, and whether the value of the destroyed goods had been purposely mis-represented to inflate the insurance claim. By 1942, the Beacon Plant had been sold, and was the location of the BeeBe corp hat mfgs. Under the name "Werber Sportswear", the company re-located in 1941 to Newburgh, NY. They had either an office or a plant at 324 Water Street, and a plant at 64 Renwick St., Newburgh, New York. They continued producing jackets into the 1960s. Werber products are best known thru their use by the Army Air Corps. From 1931-'34, they had one of two contracts let for Type B-2 winter flight jackets and the Type A-2 trousers worn with them. In 1932 they won the first of several contracts for the new Type A-2 year 'round flight jacket. Other A-2 jacket contracts were landed in 1936 as Werber Coat, and 1938, '39, and '42 as Werber Sportswear. Max Werber himself held 2 US patents, one for a driver's coat with built-in leggings for warmth, and one for a flight-type jacket of pieced-panel construction. Both date to 1929. In the tradition of family-owned leatherworks, Max's son-in-law Martin Langer operated Phillip's Tanning in Newburgh, NY (named for his son Phillip Langer, who in turn was named for his uncle Phil Werber). 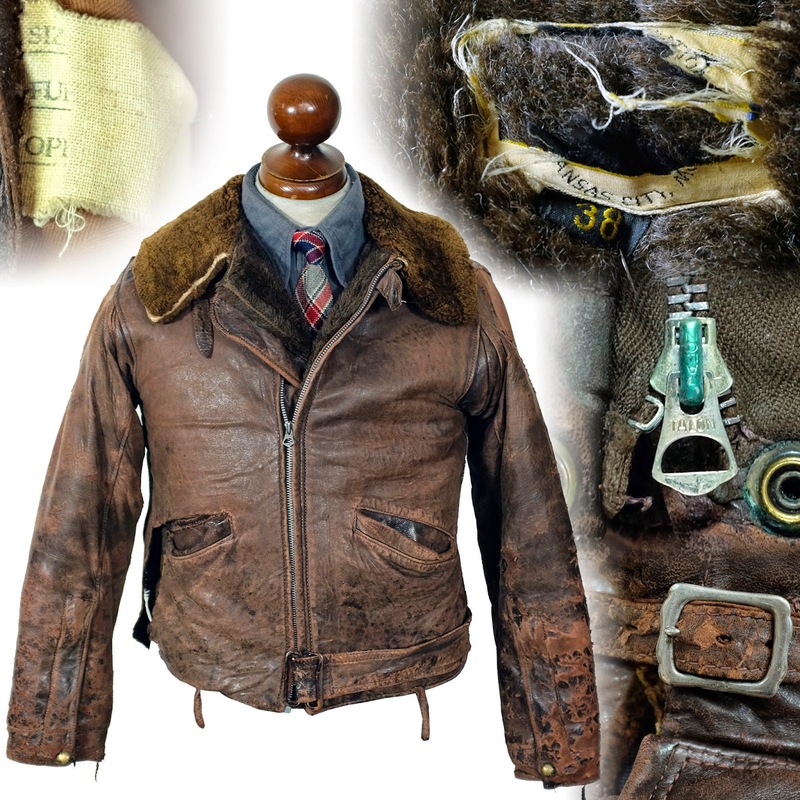 Phillip's had at least one government contract for type B-3 sheepskin flight jackets, dated 1938.
thanks, you are always a good source for brands and models history , I recently bought a B11 Werber sportswear Jacket in Japan, do you know more about this jacket history?